The GNEMSDC is a non-profit affiliate of the National Minority Supplier Development Council (NMSDC). Since 1974, the organization has provided services to members and to certified minority business enterprises; WEI is a longtime member. Membership includes some of America's largest publicly-owned, privately-owned and foreign-owned companies, as well as universities, hospitals and other buying institutions. 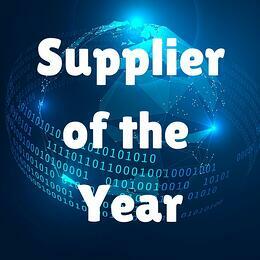 WEI is honored to be recognized by the GNEMSDC as the Supplier of the Year for the second year in a row. The GNEMSDC serves to advance business opportunities for certified Asian, Black, Hispanic and Native American business enterprises and connects them to corporate members. One of the region’s leading corporate membership organizations, the GNEMSDC provides increased procurement of new client leads and business opportunities for minority businesses of all sizes by certifying companies on behalf of corporate members, aiding in the development of diversity programs, connecting through signature networking events and advocating on behalf of each minority member. We are truly honored to receive the supplier of the year award amongst many other distinguished minority-owned businesses. According to our Founder and President Belisario Rosas, our success comes from the fact that WEI is an intensely collaborative partner with our clients and uses hands-on, cutting-edge solutions to solve a number of everyday business problems. He believes the relationships we build with our clients are of paramount importance, and we strive to overcome their challenges by using today’s most innovative technologies to develop new solutions. As leading experts in business technology improvement, our team at WEI helps clients optimize their IT environments and work efficiently. From offering custom IT solutions and technical support to Fortune 500 corporations, government agencies, healthcare organizations, universities, financial institutions, associations and organizations, to working with clients to integrate corporate strategy, new technologies and their current IT environment into one company-wide model, our work is shown to increase utilization and efficiencies around unique business processes. Our clients benefit from a strong focus on customer satisfaction and attention to detail. We combine new technology with architectural design, value-added services, onsite training, integration, testing labs and a commitment to quality. From solution design through implementation, our sales and technical teams remain focused on providing unwavering support throughout a project. WEI was also recently named in the top 100 of CRN and The Channel Company’s Solution Provider 500 list, which recognizes highly accomplished leaders in the IT channel. Learn more about our technology solutions here. To learn more about the GNEMSDC and their work around the New England region, please visit http://www.nmsdc.org.